Why Service Your Ram at Our Dealership? Your Ram truck works hard to get you where you need to go around Mt. Juliet, Tennessee. It hauls, it tows, and it performs, so treat it well by bringing it in for regular service and maintenance at Rockie Williams Premier Dodge Chrysler Jeep Ram. As your local Ram dealership, we're home to an expert team of Ram mechanics who can handle any problem you bring their way. We are a service contract recommended dealer, which means we work within your warranty and use only genuine Mopar parts and accessories designed and approved by the manufacturer. Come see the experts at Rockie Williams Premier Dodge Chrysler Jeep Ram for your next Ram repair or maintenance today. Service your Ram vehicle at your trusted Mt. Juliet, TN Ram dealership. At Rockie Williams Premier Dodge Chrysler Jeep Ram, we make bringing your Ram truck into our Mt. Juliet, TN Ram service center as painless as possible. 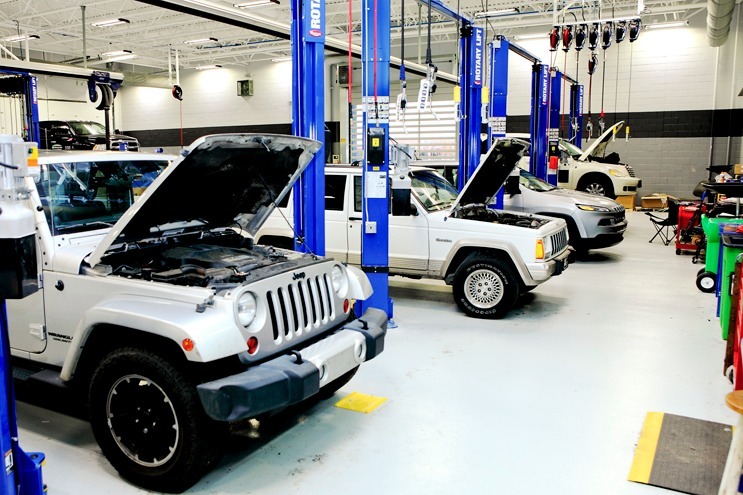 We offer shuttle service, drop off service, free Wi-Fi, and a Mopar Express Lane service to get you in and out as quickly as possible for things such as oil changes, tire rotations, brake inspections, battery replacements, and more. With each visit, you'll also get a complimentary multi-point inspection to head off future problems in your Ram 1500 truck or Ram 2500 truck. You can always count on high-quality work and friendly, speedy service when you come to us. Make your next service appointment with Rockie Williams Premier Dodge Chrysler Jeep Ram today. Our Ram service center offers state-of-the-art equipment, a 3,000-gallon saltwater aquarium, a comfortable waiting area with a fireplace and large service viewing window along with a children's playroom. Come to our service center in Mt. Juliet, TN for no-appointment-needed Express Lane service, or give us a call or schedule online to make an appointment. We look forward to your visit!